Selena Gomez is so rare! LOL. They look good on her. Good edit! 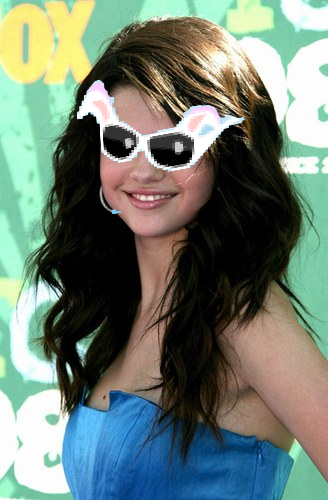 :] Selena looks good in her Bunny Glasses!